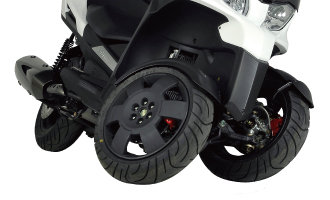 Adiva Urban Commuter for the Next Stage The AD3 series promise excellent road holding in all weathers and greater safety when dealing with the problems of driving in big cities, such as tracks, cobbles and drain covers. 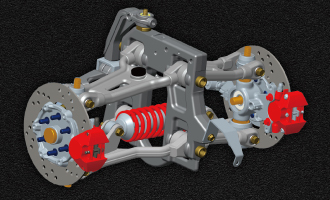 The fact that they are closer to the ground, their suspension, an excellent chassis and two front wheels mean they can take corners more quickly and more precisely. 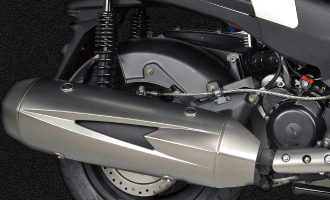 Independent Wishbone Suspension Front Independent Tilting Suspension system of AD3 promise excellent road holding in all weathers and greater safety when dealing with the problems of driving in big cities, such as tracks, cobbles and drain covers. 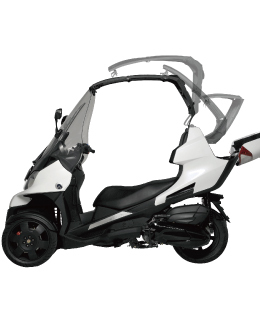 Modular Protection System Adiva Patented System of Modular Protection with Foldable Roof System + Large Windshield offer you confortable Riding in all weather conditions. Foldable Roof System Patented system of modular protection which allows the driver to fold in few seconds the roof back in the rear box. 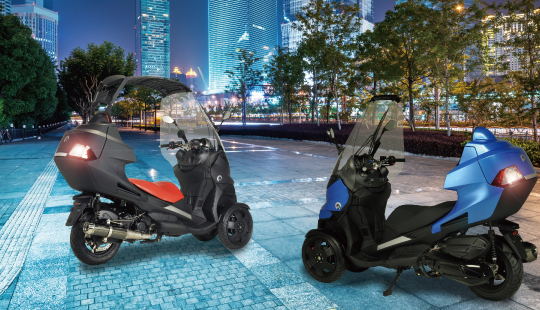 the driver is therefore able to choose the best configuration of the vehicle depending from weather conditions and riding preferences. 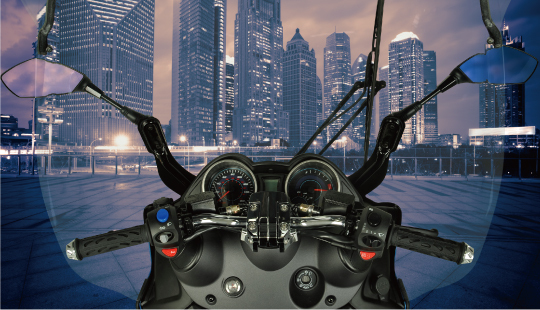 Large Widnshield UV Protected Windshield with the wiper improves dramatically the visibility under wet conditions, while representing at the same time a further source of urban commuter safety. SOHC 4-Valves Liquid Engine Powered by SOHC 300cc / 200cc Engine with Fuel Injection System offer you Excellent fuel efficiency and Smooth acceleration. 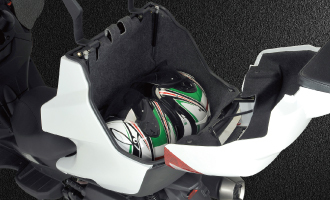 Large Storage Capacity AD3 offers you plenty of space in its boot and glove compartment with the front innver box, and the rear trunk with 90-litre capacity can accommodate two full-face helmets. 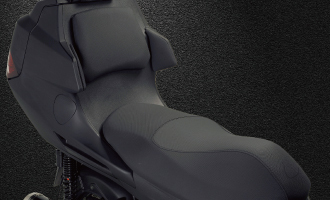 Comfortable Seat 740mm height stable seat with smooth open and close system. 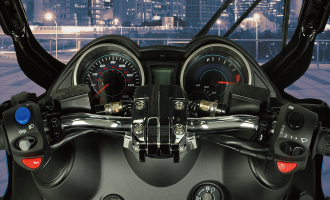 Digital Multi LCD Dashoborad Easy viewable simple design with digital speed meter, fuel, and water temperature gage.